Wow, has it been a year already? It seemed only a few months ago, I was enjoying my Free Slurpee from 2013. Time flies. I rarely drink Slurpees anymore except for this day of celebration. Just too much sweetness to be regularly consuming. So when I do run down to my local 7-Eleven on July 11th each year, I really do enjoy the frozen sweet drink that much better. What??? 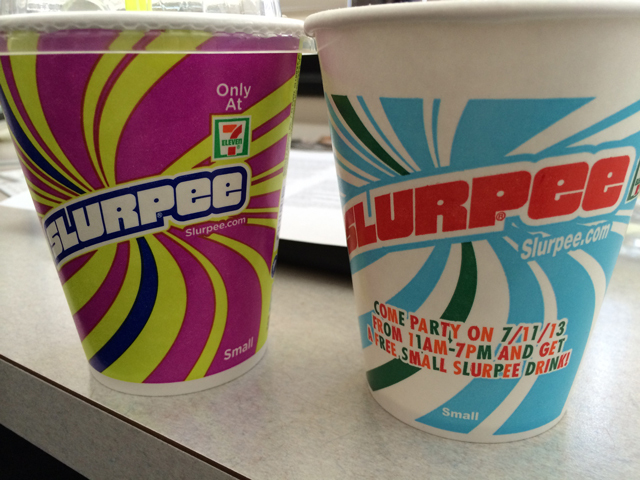 No date labeled cup for this year’s Free Slurpee Day? I was very disappointed to see this year’s cup is not date stamped. Just a generic small Slurpee cup. 7-Eleven is getting lazy. At least they kept the cup the larger 12 oz size instead of going back to the 7.11 oz cup from previous years. I still enjoyed my mixed Pina Colada and Blue Raspberry free Slurpee. 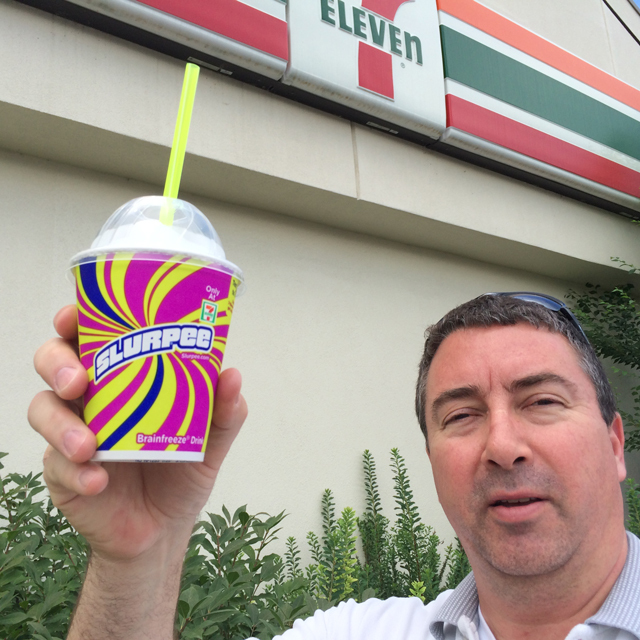 I’m always bummed when 7-11 Free Slurpee Day comes around because the two local 7-11’s we had are gone. I was able to buy them at K-Mart for a while, but then that went bye-bye too. Closed down a 7-11? Two locations? Bummer.